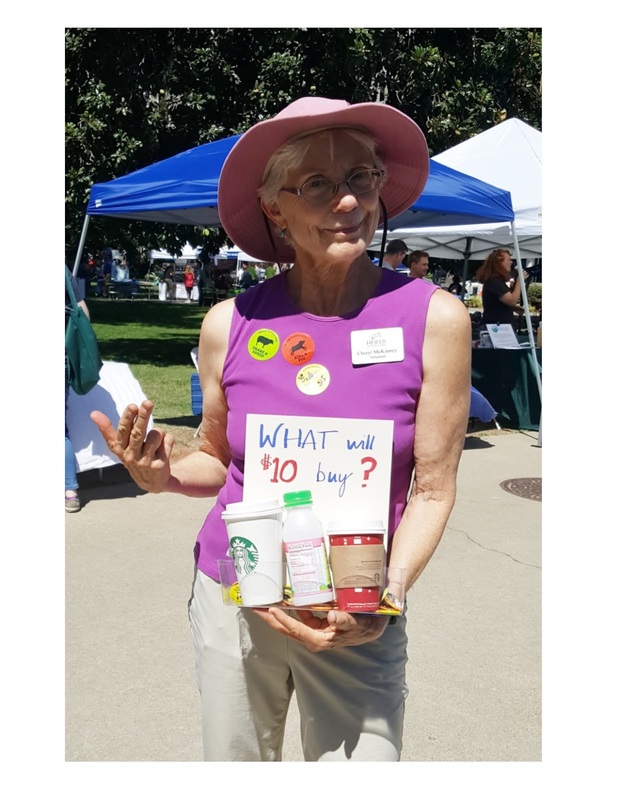 The State of California kicked off its 2018 Our Promise campaign with a non-profit fair on the steps of the State Capitol in August. The Our Promise campaign allows State employees to make one-time or recurring donations to charities and non-profits from their paychecks. The Heifer Sacramento Volunteers were present to spread the word about Heifer International’s work and to remind State workers that #315 is the one to pick on their campaign forms. If you are looking for speakers for your workplace campaign event. Send us a message and we'd be glad to arrange for a volunteer speaker. How can a recurring donation help? It is easy on you, the donor. Pick a comfortable amount. 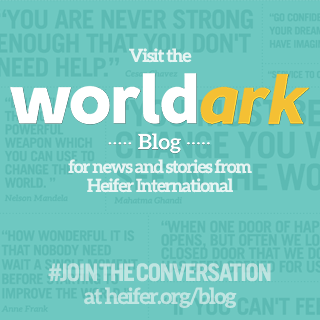 Set it and know that you are giving Heifer a regular donation over the course of a year. A recurring donation of $10 a month adds up to $120 a year. Your donation goes to create small businesses that increase income, improve food security, and teach tools for sustainable farming. These are foundation to empower communities to: work together, solve problems together, reap benefits together, make lasting change, and take ownership of their future. Don't forget about Heifer's Passing on the Gift. When Heifer participants pass on the gift, which often still remains as the first female offspring of gifted livestock, the gift includes passing on knowledge to others in need within the community. This means that through Heifer's approach, your donation doubles all by itself. The person that received your help then becomes a donor. How cool is that?!! The Combined Federal Campaign for northern California federal employees has also kicked off. We welcome the opportunity to come talk about Heifer International at your campaign event. Each year Heifer Sacramento Volunteers participate at alternative gift fairs at community churches around the Sacramento region during the months November and December. At the fairs, we offer donations to support the work of Heifer International in place of gifts of material goods few of us need more of to honor of friends and family. Hand crafted items made by our volunteers are also available for donations at these events. Our first scheduled alternative gift fair for the 2018 season will be at the Carmichael Presbyterian Church on Sunday, November 4. Come out and support Heifer! More locations of gift fairs will be posted as they are scheduled. 0 Response to "Happenings with Heifer Sacramento Volunteers"